The September edition of Tabletalk is out. 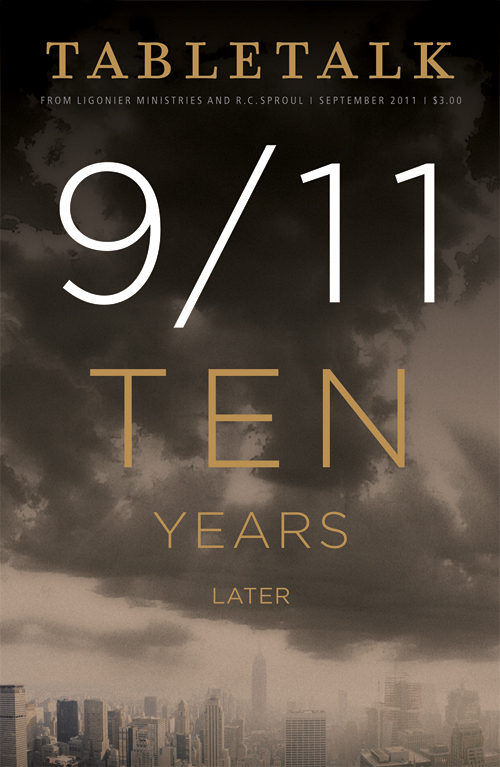 This issue examines the decade proceeding the events of September 11, 2001. It pays special attention to American’s response to and demands of God, and it instructs Christians on how to interpret and react to the various issues surrounding and springing from that dark day. Contributors include R.C. Sproul, John Piper, Marva Dawn, C.J. Mahaney, Paul David Tripp, and R.C. Sproul Jr.
“The Days of the Dead” by R.C. Sproul Jr.